PARM Process has been operating in Niger since December 2014. It has generated and shared ARM knowledge through RAS, regional and national capacity development training and feasibility studies on ARM tools. A technical meeting was held in June 2018 to validate the results from the feasibility studies for investment into access to information and on the warehouse & contract farming. Niger is a country regularly prone to natural shocks, especially droughts with often unchained series of impacts on crop productivity, market price and conflicts related to access to land. The fragile climatic conditions couples with the unstabilized political landscape to nurture risks for agricultural production and marketing activities. Through the PARM Process, stakeholders finalised a comprehensive and robust risk assessment study for Niger in 2016. The assessment revealed key risk facing the agricultural sector and identified dryness and uncertain access to the market as the two key risks for priority action. Following the risk assessment, PARM worked with the Office of the Commissioner of the 3N initiative and other partners to identify two potential ARM tools – warrantage based contract farming and access to information – to ameliorate the risks in Niger. A part of its overall objectives, PARM seeks to increase local capacities on ARM. In Niger, PARM’s CD activities reached out to more than 200 stakeholders from Niger and neighbouring countries. The first CD in December 2015 provided a general overview on ARM. The second CD2 organised with AGRHYMET on specific ARM tools attracted participants from Togo, Benin, Mali, Chad, Senegal and Cameroon. So far, PARM has built a strong partnership with the Office of the Commissioner of the 3N initiative and the AGRHYMET regional centre. These partnerships paved way for the commitment to integrate the identified tools into the PAGRA strategic document which was first drafted in 2014. PARM is also planning a policy dialogue workshop to solicit additional commitment from the Government and relevant private sector groups. PARM joined a National Stakeholder workshop, led by the World Bank with the active participation of NEPAD held in Niamey on 10-11 June 2014. The newly appointed PARM Secretariat in collaboration with NEPAD organised its first independent mission to Niger on 9-12 December 2014 to follow-up on the PAGRA Validation Workshop, build synergies and to launch PARM’s activities in the country. Mr. Allahouri Amadou, the Commissioner from Haut Commissariat à l’Initiative 3N (HC3N) welcomed the PARM-NEPAD mission and expressed Niger’s interest in aligning PARM activities to the country’s 2016-2020 National Investment Plan and the PAGRA strategic formulation. The Honourable Commissioner also agreed to develop a roadmap for HC3N to include PARM’s activities in view of identifying tools for the next investment plan 2016-2020. The partners agreed for PARM to initiate a follow-up study to identify gaps in the initial World Bank agricultural sector risk assessment for Niger 2014. In particular, the follow-up study focused on smallholders in three specific risk management axes: access to financial services and credit, access to markets and integrated / accessible information system. PARM Road Map was developed and validated by the Haut Commissariat à l’Initiative 3N (HC3N) during the setting-up mission in January 2015. 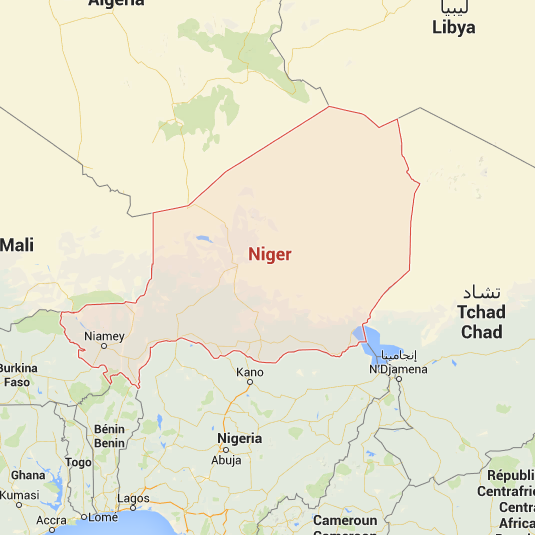 PARM collaborated with the Niger HC3N to develop and validate the Terms of Reference (TOR) for RAS in Niger in February 2015. By May 2015, the Institut de Recherches et d’Applications des Méthodes de développement (IRAM) was identified and contracted to conduct the Risk Assessment Study in Niger. December 2015, PARM organized a Capacity Development Training in Niamey in collaboration with Agrhyment, NEPAD, and HC3N. The training aimed to increase local stakeholders’ capacity to understand the holistic approach to analyzing and managing the main agriculture risks affecting smallholder farmers. On December 10, 2015, PARM held National Stakeholder Workshop in Niamey in collaboration with NEPAD and HC3N. The objective of the workshop was to present and discuss the drafted RAS report and identify priority agricultural risks and tools. June 2016, the RAS was finalized and submitted to the HC3N for validation, leading to the final publication of the RAS by the PARM. October 2016, PARM developed a snapshot of the country risk profile for Niger. In Septemeber 2016, PARM commenced discussions with HC3N and two ARM tools – Contract Farming/Warrantage Activities and Information Systems – were identified for the feasibility analysis. A year onwards, a ToR was developed and experts (CIRAD-IRAM and SBC4D) were identified and contracted to conduct feasibility studies on the two identified ARM tools. Both studies were completed by December 2017. In September 2017, PARM and AGRHYMET agreed to foster their ARM collaboration through a Memorandum of Understanding (MoU). By April 2018, PARM and AGRHYMET organized the first partnered regional capacity building event on ARM (CD2). The training took place in Niamey. It hosted participants from both PARM and non-PARM countries across the Sahel region; Senegal, Cameroon, Niger, Burkina Faso, Chad, Mali, Togo, and Mauritania. A meeting was organized by the HC3N in collaboration with PARM, gathering several technical and financial partners, to validate the feasibility studies on access to information and on the warehouse & contract farming.